Bjørn Gregert Halvorsen presented Nel Hydrogen, also showing examples of installed systems in India. 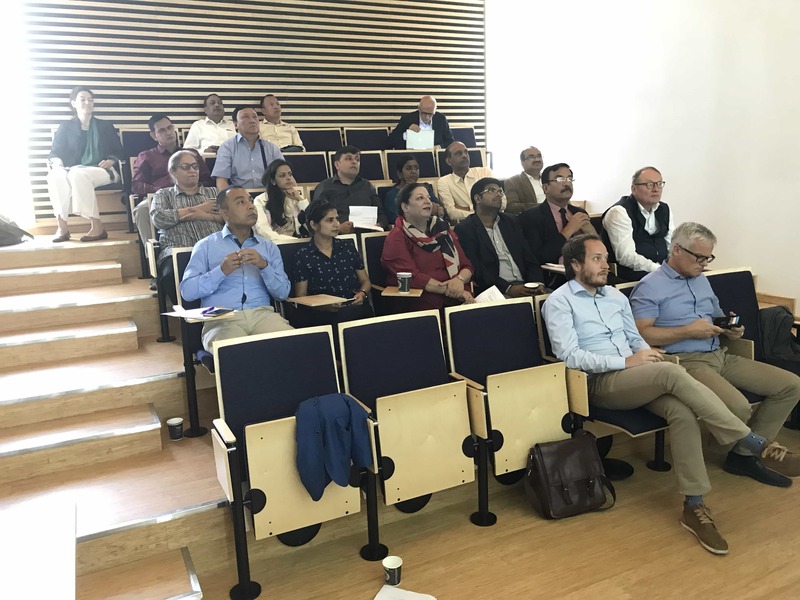 Innovation Norway was holding a delegation visit from India and Bhutan under India Norway Clean Energy week in the end of May. The delegation was interested to learn more about Hydrogen Storage and Production, and especially Bio Hydrogen and Bio methane based Hydrogen production. Norway is in the forefront when it comes to use of hydrogen for transport, and some Norwegian companies are world leading in this area. Green Visits Oslo Region together with the Norwegian Hydrogen Association arranged a meeting for the delegation with Norwegian companies and organisations. 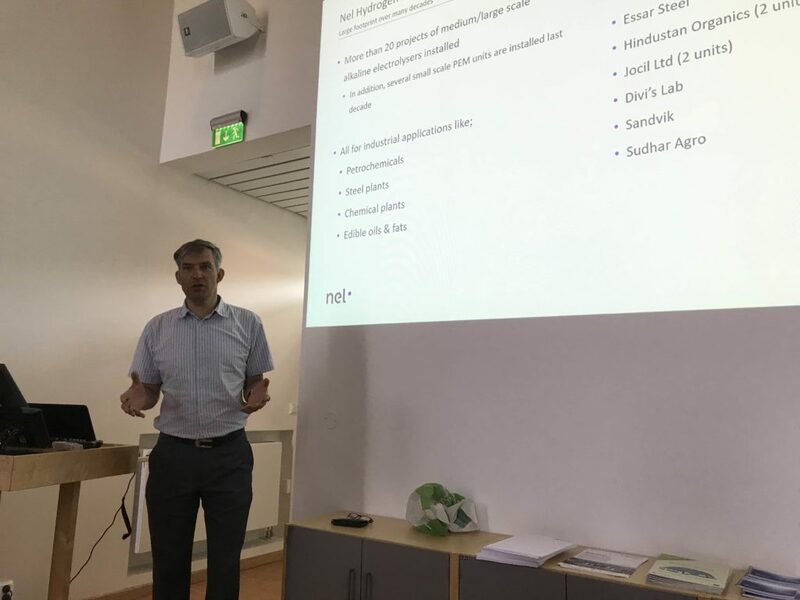 Jan Carsten Gjerløw presented an overview on how hydrogen is used for transport Norway, and some of the leading companies providing technology for production, storage and distribution. Bjørn Gregert Halvorsen, technology specialist, presented Nel Hydrogen who is world leading manufacturer of electrolyses for hydrogen production. Nel has already many customers in India. IFEs research on energy systems, including solar, hydrogen and fuel cells, was presented by Jørgen Lundberg, CEO of IFE Invest. IFE is active in several international projects and is leading a large research centre within Mobility Zero Emission Energy Systems (MoZEES). Roy Stenbro, Specialist Group Manager, Wind Energy presented IFEs work on offshore wind. The institute has done research on wind energy for almost 40 years, and 5 researchers have offshore wind turbines as their primary focus. Per Wennergberg, project manager at Biogas Oslofjord, talked about Production and use of biogas, and synergies between biogas and hydrogen. Producing biogas from manure and agri waste, sewage sludge and organic waste is an important part of the Oslo Regions ambitions for a circular economy, The biogas is used as a fuel for buses and trucks, but may also be used for hydrogen production, and Per gave interesting perspectives on that. 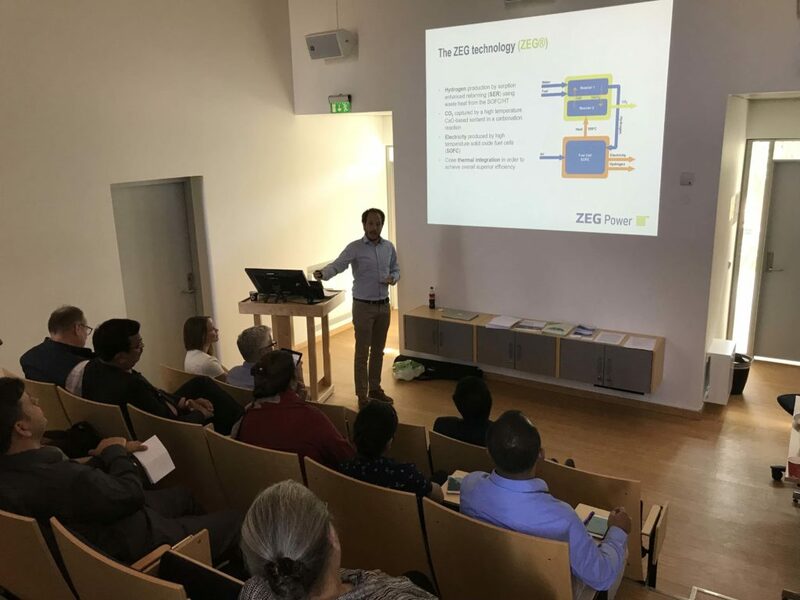 Kathrine Ryengen, CEO, and Nicola Di Giulio, PhD – Chief Engineer, presented ZEG Power, who’s mission is to empower the world with green energy. The ZEG® Technology is used for high efficient production of electricity and/or hydrogen from hydrocarbon gases with integrated CO2-capture at acceptable cost. After the presentation, the group visited the ZEG demo site at Akershus Energy Park. 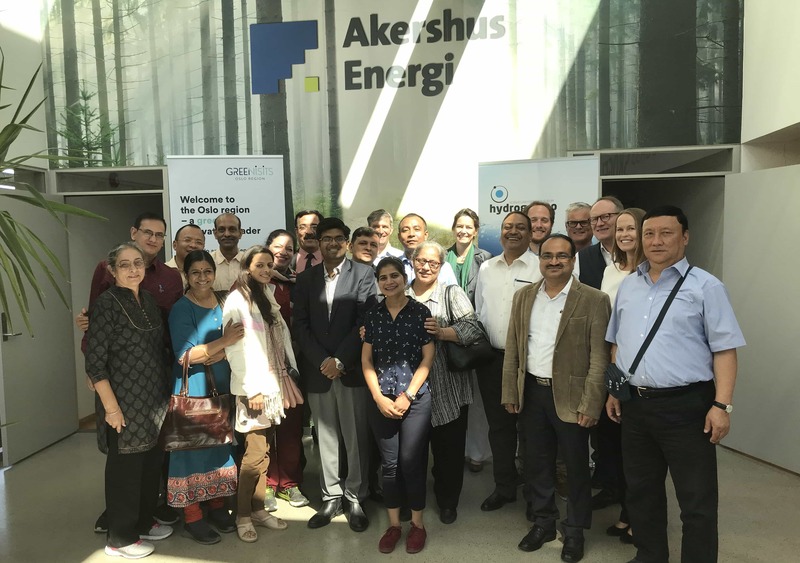 The visit will be followed up by Innovation Norway, Green Visits and the companies involved, exploiting the possibilities for collaboration on hydrogen production in India. The delegation consisted of executives from leading DSO, State Electricity regulators, Generation companies, trading companies and energy related business houses. They where very engaged, and had some good discussions with the Norwegian experts.